Learn to use Google’s online word processor, which allows you to create and format documents and work with other persons on the same document. 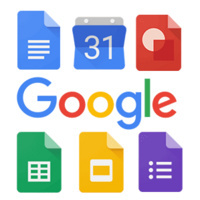 Google Calendar is a free online calendar used to share events online. Participants will need a Gmail account. Class Prerequisite Recommendation – ABCs of the PC, Skill Builders’ Workshops, Introduction to Internet, Introduction to Word 2010 and Email Basics.